The Fundraising Regulator is considering alternative names for the Fundraising Preference Service, it has revealed. The FPS, which is due to begin operating in the early summer, will allow registered users to opt out of all direct marketing communications by telephone, email, text and direct mail from named charities. The regulator has been asking charities, sector professionals and members of the public to sign up to take part in developing the FPS, with participants receiving an email every week asking for their opinions on different aspects of the service. The first of those emails, sent out on Friday, said the FPS was only a provisional name and suggested three possible titles, along with slogans to describe the service. The suggested monikers include the Charity Contact Service, with the tagline "control your communications", the Fundraising Preference Service, accompanied by the same slogan, or Control Your Communications, accompanied by "charity contact service" as the tagline. Respondents are asked to rank the names in order of preference. The consultation says the regulator wants to consider which name "best represents the type of service offered". It says: "When making your choice, we ask that you consider how the general public will respond to the name, as they will be the targeted user for the service." 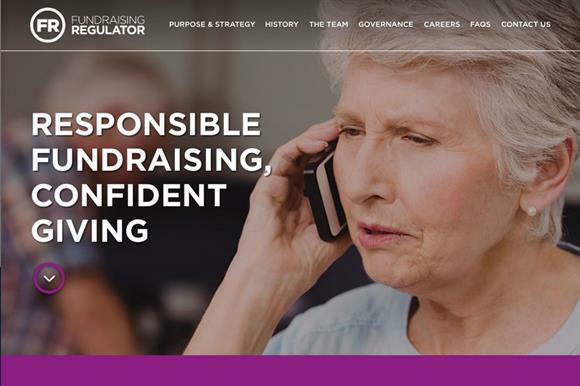 A spokesman for the Fundraising Regulator said: "The names were decided after an internal review and much discussion among members of the team." A note at the bottom of the consultation survey says the way in which the possible names are written do not reflect the final branding for the service, which will be revealed at the launch of the service in the summer, it says. The consultation is expected to run until May, but no end date has yet been set. If you’re interested in fundraising, you can’t miss Third Sector’s Annual Fundraising Conference on 23 and 24 May. Click here for more information and to book at the Early Bird rate.